Last night VCU lost an exhibition opener for the first time since the 2004-05 season when a Jeff Capel led group dropped a city rivalry loss to the Panthers of Virginia Union Univesity. As with this year’s team, that squad was coming off an NCAA appearance (VCU’s first in eight years) and was adjusting to the loss of their leading scorer and premier guard. VCU managed a so-so 19-13 that season that ultimately ended with a home NIT loss to the Wildcats of Davidson University after falling in overtime in the CAA Championship game. What’s to become of this year’s group remains to be seen, but it’s safe to say after six straight NCAA tournament appearances, 19 wins and an NIT appearance will likely be a lot less satisfactory than it had been in the early 2000s when VCU’s resurrection was just getting underway. The Stu has become a house of horrors for visiting opponents but turned into one for the home team last night. The Rams’ 25 turnovers was roughly 13 more than the team averaged this past season. VCU’s starting backcourt of JeQuan Lewis and Jonathan Williams — both point guards — accounted for 13 of those turnovers. That simply can’t happen and I don’t expect it will be the norm for this year’s team. Williams finished with six of those turnovers matching his total from the final eight games of last season. The slightly more turnover prone JeQuan Lewis had seven of last night’s fumbles and might be something to monitor this year after turning the ball over five or more times in eight of last year’s games. He was sensational last night otherwise. Senior center Mo Alie-Cox has been written about nationally as one of the players to watch this season after being dominate at times last year including a 20-point, 8-rebound night in an NCAA tournament win over Oregon State. Last night however it was if his teammates failed to recognize his presence in the paint. 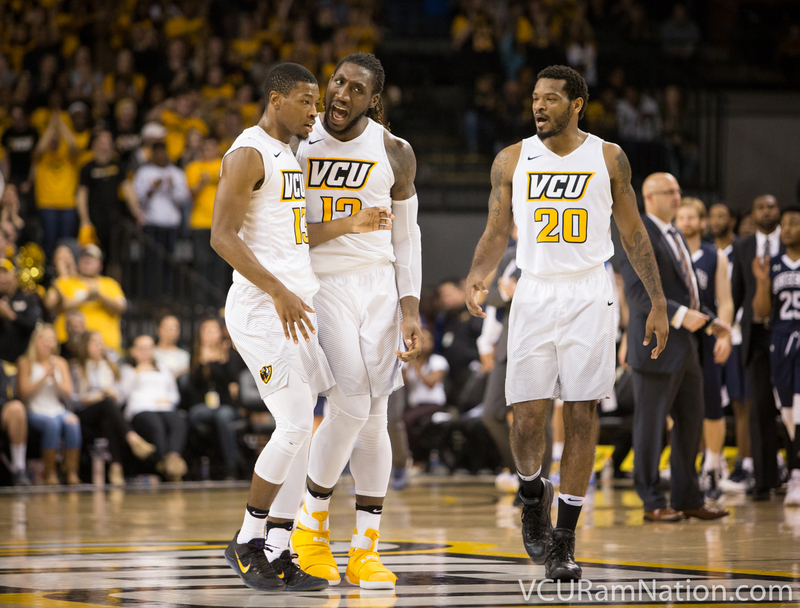 Mo finished the night with just three attempts, an inexcusable number for this year’s VCU team. Whether that’s Mo not demanding the ball enough or his teammates not answering his requests is up to Will Wade and his staff to determine. What’s not debatable however is that simply can never happen again. Alie-Cox and fellow fifth-year senior Jordan Burgess finished tied for eighth on the team last night with three attempts each. Alie-Cox finished the game 9-10 from the free throw stripe however to become one of just three Rams to finish the game in double-digit scoring. He should have had at least twice as many attempts and twice as many points against a team that had not one player who could come close to matching Alie-Cox’s size and strength down low. If you follow me on Twitter you’ve discovered by now I am a huge Justin Tillman fan and advocate. After sitting out the first seven minutes of action, the 6’7 junior came in to spark the Rams offense, scoring two quick buckets and grabbing two quick rebounds to tie the game. He played just nine first half minutes (scoring a point per minute) but added twelve more in the second before fouling out thanks to an “ill-advised” technical he picked up during a skirmish with a Queens player late. Offensively Tillman just produces, finishing with 15 points in the loss. He puts the ball in the basket at an extremely efficient rate, connecting on six of his nine attempts last night for a 66.6% mark that was on par for what he did all of last season. He grabbed nine rebounds for the near-double-double in just 21 minutes of play. He simply produces in the stat sheet and gives VCU guaranteed points and rebounds. But there is a tradeoff. Tillman appeared to be at times out of position last night, as was his struggle this past season. And that is the catch-22 with the Detroit native. In many ways Tillman is the anti-Burgess. While Burgess is always in position, he has consistently struggled offensively (0 points last night on just one attempt) and has never finished a season shooting better than 36.4%. With neither providing a legit three-point threat it makes it hard to play the two together alongside Mo Alie-Cox. So which poison do you choose? Do you play Tillman max minutes and live with the consequences defensively or roll with Burgess and hope the points come elsewhere? Do I think VCU can fix the defense after a night of allowing 42 second half points to Queens (note* The Royals averaged 86 points per contest last season before losing in the second round of the DII NCAA tourney)? Yes. My biggest concern however is finding the guys who can stretch defenses enough to make it even possible to get the ball to guys like Mo Alie-Cox and Justin Tillman. JeQuan Lewis hit six of his 10 threes last night. Freshman Malik Crowfield (who I love) hit a solid 2-6. But who else can put a little fear in opposing Ds from outside the arc? No other Ram hit a single three last night for a supporting cast total of 0-10 shooting from beyond the arc. Sure, it’s one game, but the reality is no other player has consistently shown in any other part of their career that they can hit the deep ball (rumor has it VCU shot even worse in a closed scrimmage against UVA). Enter: Doug Brooks. Crazy Train (my preferred nickname for Brooks) had a 40% three-point sophomore year but was terrible otherwise. His ability to hit consistently from deep could be just what the doctor ordered this year. That is of course if he can once again consistently do so — his “every other year” pattern means he’s due for a good shooting season. Add that to his nation-leading 6.8% steals percentage last season and VCU could have a surprise player. But if Brooks continues to fail to even show up in uniform, that becomes impossible. Head coach Will Wade decided Dougie B. needed to dress in street clothes last night, which is never a good sign for a senior athlete. But between Brooks, Burgess, Doughty and Jenkins, someone has to prove to be a deep threat. Queens Jalin Alexander is the classic case of a talented player at an under-the-radar team. 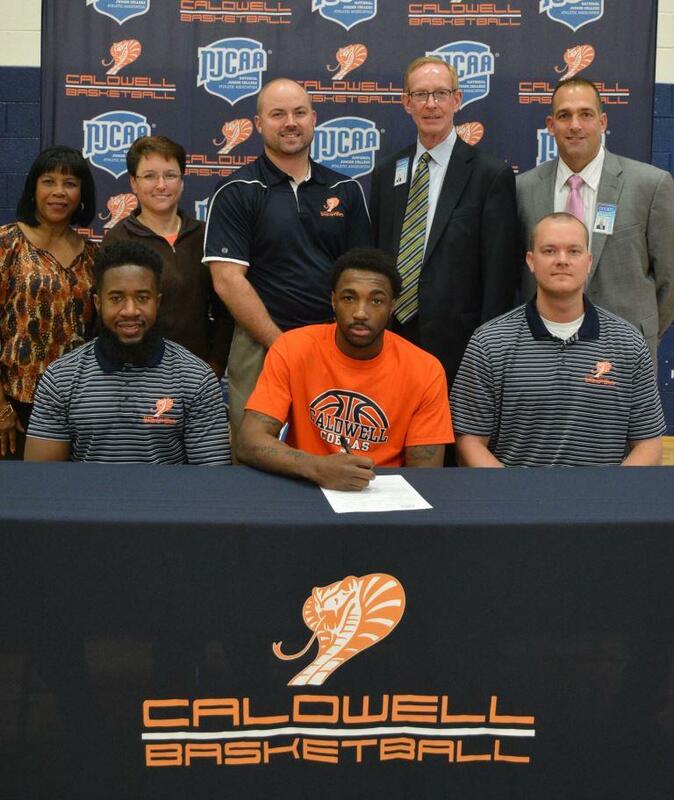 Alexander averaged 26 points and 48% 3-point shooting as a JUCO player but saw trouble off the court. 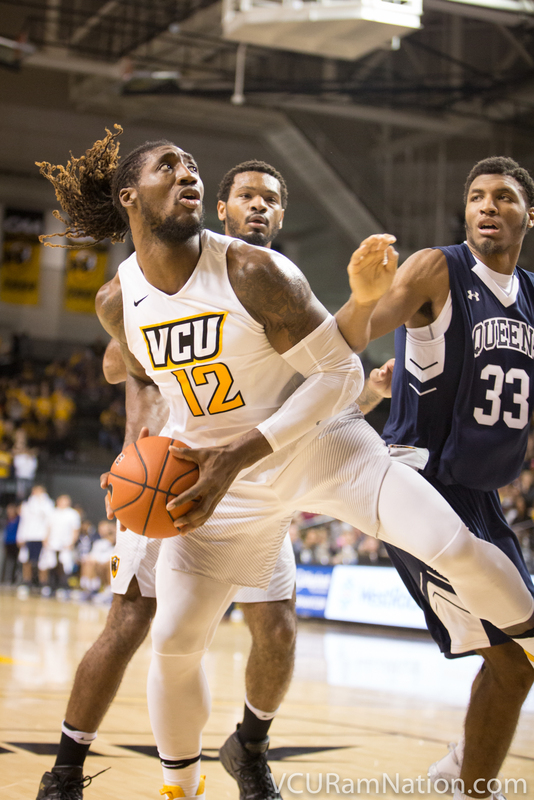 VCU wasn’t the only A-10 team to struggle with a DII opponent last night. The Dayton Flyers struggled at home to knock off Findlay, trailing by as many as 14 points before rallying for the win in the second half. Queens University ranks 26th nationally in the DII preseason poll and went 27-5 this past season before losing in the second round of the DII NCAA tournament. So these guys are good. I can also tell you from my personal experience this summer that sometimes these divisions can be deceiving. Our team Ram Nation TBT squad made up of former Final 4 players and an NBA pro struggled to beat an NC Prodigal Sons squad full of DII and low-DI talent before blasting a Southern Kings team full of former power conference players. The reality is there are some very good players on these teams and just as there is a much thinner line between teams like Duke and teams like Stephen F. Austin, the line between some DI and DII teams is smaller than you’d think as well. Queens’ Jalin Alexander dumped a team-high 19 points on the Rams last night. The JUCO transfer averaged over 26 points per contest last season and shot a ridiculous 48.4% from three last season. That type of shooting translates to any college level. The Royal’s Mike Davis added 17 points for Queens, hitting his average from this past year with Francis Marion where he hit an impressive 38% of his threes. Again, the line is thinner than people want to admit, but that doesn’t make this loss hurt any less. VCU’s post-game press conference was short last night (see below) but here were some key quotes from Coach Wade. Mo Alie-Cox, Ahmed Hamdy and Justin Tillman combined for 17 attempts last night, just two more than Lewis had by himself, but each had four offensive rebounds, meaning a large chunk of VCU’s bigs attempts came off missed shots instead of plays ran designed to get the ball inside. Excellent analysis. On defense, VCU needs to zone trap more, and force the other team off its plan. Thanks for the article. I’m guessing WW will eventually tire of the joystick and instead start practices with a “nobody shoots a 3 until a post player touches the ball on the block”. Gives him more time to focus on defense/press recovery. For games he may give a few green “take a 3 token” to JeQuan and perhaps Malik as well.